Darren M. Shapiro Esq. assists couples dealing with matters of family law through the process of mediation, collaborative law, and litigation. In divorce mediation, his work aims to help couples to reach an agreement regarding one or more of the issues that may arise within their divorce. Usually, this means that he acts as a neutral third-party within a discussion, sometimes helping both sides to understand the relative weaknesses and strengths that they may need to address in their current position. Usually the process, however, consists of talking through the issues to come to solutions that make sense for the couple. During mediation, Mr. Shapiro is not responsible for pushing either party towards a decision, but instead tries to provide an environment that allows for a negotiation and resolution to take place. Often, neither party will get 100% of what they wanted to start with, but they can come to a consensus that they are both able to live by. Mr. Shapiro has found that people frequently choose mediation in favor of litigation and other legal options, because it is a more amicable solution that allows for the continuation of a more pleasant relationship between each member of the couple, and any children that might be involved than after a contentious court battle. 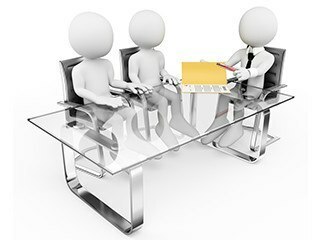 Once an agreement has been made during the mediation procedure, it may then be formalized into a separation agreement, which would be treated by the court in the same way as any other contract. Although a neutral third-party entity such as Mr. Shapiro can help the parties in a mediation in reaching a decision that may have been different to the judge's final order, the court typically takes the agreement seriously except for in very specific circumstances. When it comes to understanding separation agreements, the legal complexities can be somewhat daunting - particularly for people who haven't had much experience in family law. Mr. Shapiro and other professionals may use representative examples of previous cases in an effort to explain some of the nuances involved in making a decision. As mentioned above, most separation agreements are seriously considered by the court and used in an assessment of a final order unless significant circumstances require the agreement to be changed or ignored for some matters. Separation agreements are often examined more closely than ordinary contracts due to the fiduciary relationship between a married couple. Even so, separation agreements usually cannot be set aside without evidence of an inequitable agreement, or instances of duress or fraud. Separation agreements can form a very important and binding part of a divorce during a mediation procedure, and should not be taken lightly. As past cases show, and as Mr. Shapiro informs his clients during mediation or attorney advice, separation agreements will only be removed from the consideration of the court in extreme circumstances wherein evidence can be supplied to prove that the agreement is unreasonable, or was created by a participant while under duress or fraud. If you are considering the mediation process as an alternative to litigation for your divorce proceedings, you may find that it is useful to speak to our office about your needs and potential options. The law and mediation office of Mr. Darren M. Shapiro provides free half-hour consultations for couples interested in mediation, where you can access guidance from an experienced and compassionate individual. Feel free to contact us at your earliest convenience, either via our online form or through phone call at: 516-333-6555.